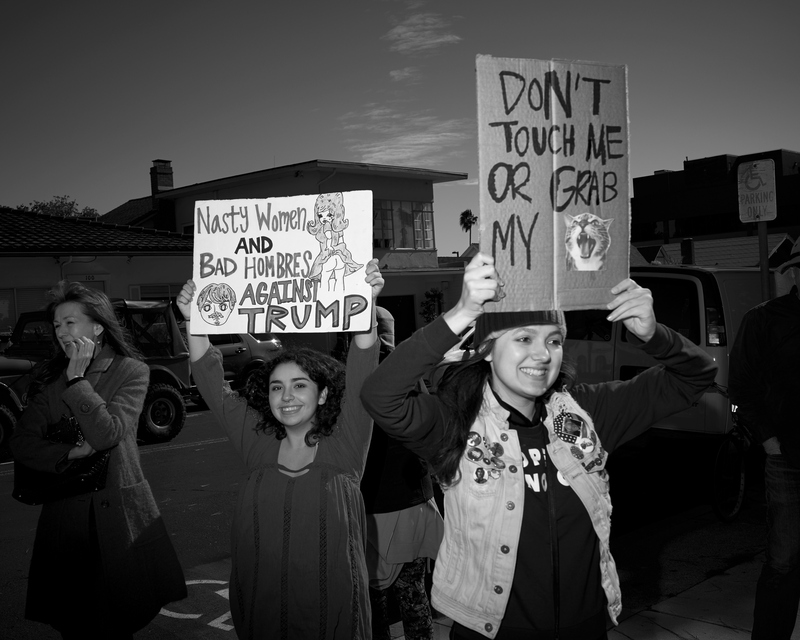 Women hold signs referencing memes generated by the crass remarks made by Donald Trump during his presidential campaign. Ventura, California 1/21/17. Protesters during the Women’s March in Ventura, California. Ventura was one of dozens of citys across the country that held coordinated marches on January, 21st 2017 in support of the Women’s March on Washington D.C. – held just one day after Donald Trump was sworn in as the 45th President of the United States.